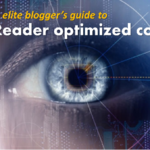 Bloggers: you have eight seconds to grab your reader’s attention. It hardly seems fair, but that is the reality of life in the digital world. The average attention span of a Web user is eight seconds. 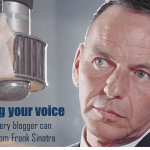 That makes your opening paragraph crucial to the success of your blog post. That’s not to diminish the importance of a great headline. It gets them to click in. But a weak opening puts you one click away from your precious reader bouncing into oblivion. And the clock starts the instant your page opens. How do you hold the reader? You can find helpful answers to that question by paging through a Reader’s Digest. It may not be at the top of your reading list as a blogging resource, but there is good reason to check it out. Reader’s Digest has enjoyed wide popularity for more than eight decades. It is translated into 21 languages in 70 countries with 100 million readers. It must be doing something right. And it is. The editors understand readership. 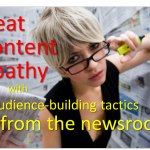 How they structure an article offers valuable clues to how you can attract and hold readers on your blog. This isn’t my revelation. I got the idea from reading Tested Advertising Methods by legendary adman John Caples. 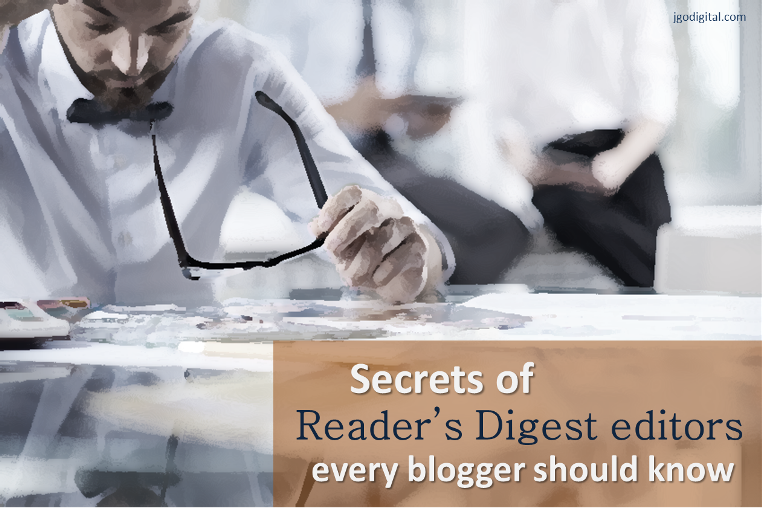 In it he analyzed Reader’s Digest to find its secrets for hooking readers in the lead paragraph. 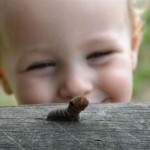 His findings are a treasure trove for bloggers. Caples identified six formulas Reader’s Digest used to open its most-successful articles. They will work for grabbing your blog readers too. Here they are with an example for each one. Who knew: there are towns where marriage laws hold that you can’t sleep naked next to your spouse, where mistreating your mother-in-law means grounds for divorce, and where a wife must ask permission from her husband before wearing false teeth. Belching, passing gas, picking your nose and eating what comes out of it, and other seemingly disgusting actions might actually be healthy habits worth doing. Last fall, in the days following Hurricane Sandy, hundreds of New Yorkers lined up not for tickets to a hot Broadway show but for their turn to use a pay phone. The storm had knocked out 25 percent of the cell phone towers from New Hampshire to North Carolina, leaving millions of people without cell service and forcing them into the streets to search for the no-longer-ubiquitous telephone booth. Looking to erase an ex from your mind and reach the Eternal Sunshine of the Spotless Mind? Today’s technology can help, with a clutch of apps and sites that make heartbreak hurt a little less. Job seekers should consider a new mantra: “Give back, and you shall receive.” Including volunteer experience on your resume could help you land a job, according to a new survey. 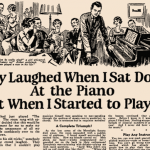 Caples found that more than half of the articles in Reader’s Digest opened with a story. Storytelling may be the single most compelling way to engage your reader. Doesn’t this example make you want to read on? One summer weekend when I was a boy, my father took my brother and me camping. I vividly remember the odor of cooking bass mixed with wood smoke, the splash of the Milky Way in the heavens, and the burning ember of Dad’s unfiltered Lucky Strike against the night. Even then, I knew how hard Dad was trying at this enormous thing, to be a father. 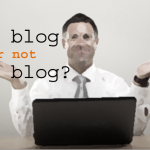 A compelling introduction makes the difference whether your blog post gets read or passed over. These time-tested tactics from Reader’s Digest will get you off to a good start. 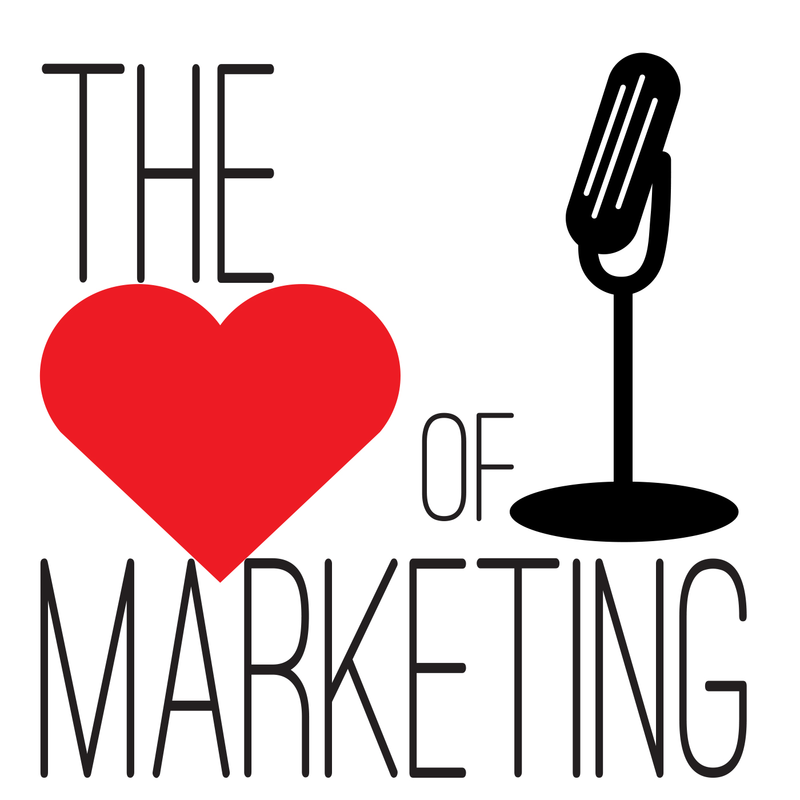 The beauty of these copywriting hacks is that Caples has done the research for us. They are based on the most successful and widely read articles he analyzed. And the principles are timeless. If you’d like to talk about your needs for a content marketing or blogging strategy, contact me. You can pick my brain for 30 minutes free.